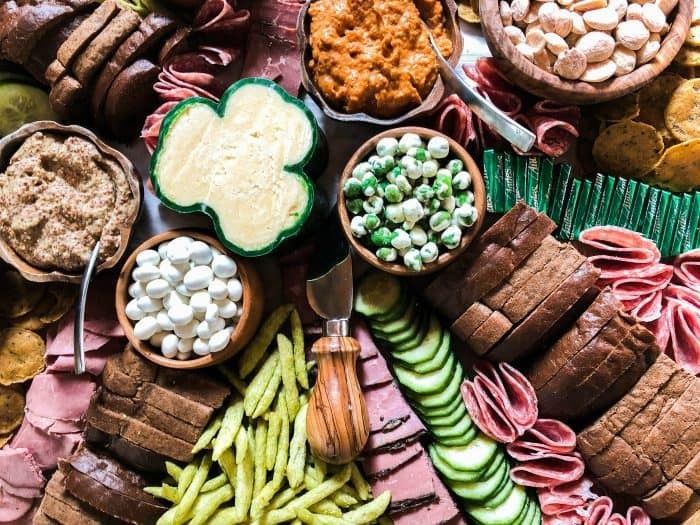 Happy St. Patrick’s Day Charcuterie Board is an Irish cheese board, served with a selection of Irish artisan charcuterie, Rye bread, mustard, and chocolate! Friends, you can make so many people happy with a little variety of meat and cheese. 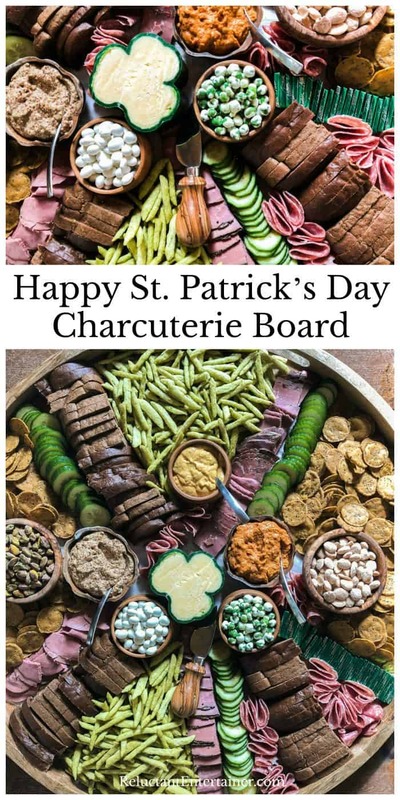 Just in time for St. Patrick’s Day, with a whole lot of green, enjoy this giant, no-fuss Happy St. Patrick’s Day Charcuterie Board that I’ve put together–with pastrami, salami, and cheese! Follow ‘how to make an epic charcuterie board‘ video for more info! 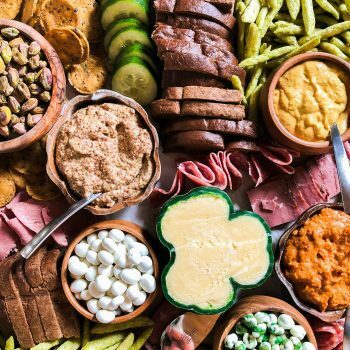 Whether you’re serving a hearty Irish stew, a shepherd’s pie, or corned beef with cabbage and Irish soda bread, your guests will love you if you set out a giant, festive charcuterie board, or snack board, served with your favorite beer! 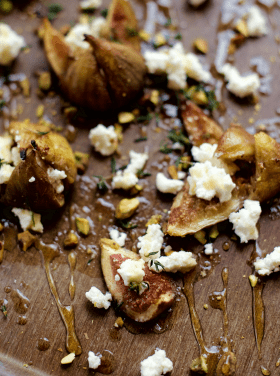 What I love about a cheese board is that it can actually be the main course to your meal. Actually, the only course that you need, and I spy a little bit of chocolate on this board for dessert as well. Do you see it? (Mm-m-m … Andes Thin Mints:) But wait … if you want a “real” dessert, don’t forget Irish Dark and White Bread Pudding! A charcuterie is meant to be shared and very hands-on! You may already be following my charcuterie/cheese board recipes here on RE! 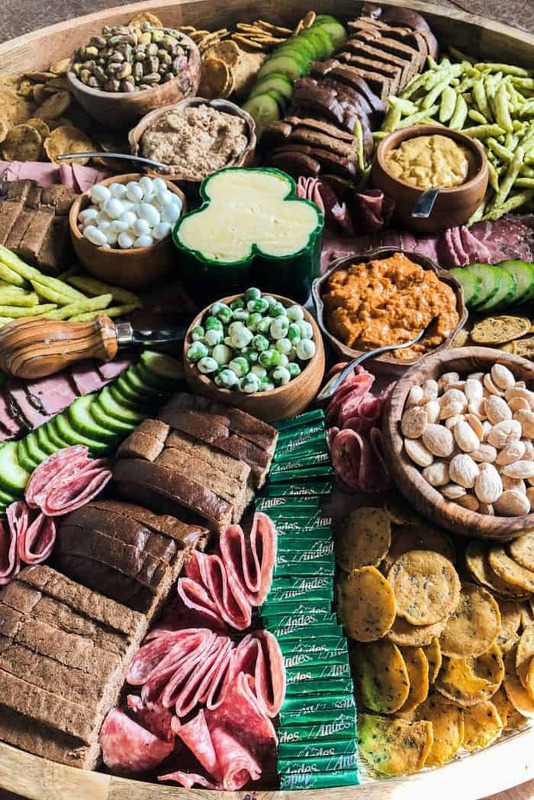 This past weekend, we set out this Epic St. Patrick’s Day Charcuterie Board (with plenty of green nibbles) for our family and friends, along with some good Irish beer. 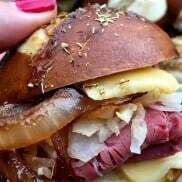 Let everyone dive in and make their own pastrami sandwiches (on rye bread), and nibble on other salty snacks. Keep it light! By the way, what is charcuterie? It may sound fancy, but did you know that it’s literally the French word for anything meat – smoked, dry-cured or cooked. So I used pastrami! 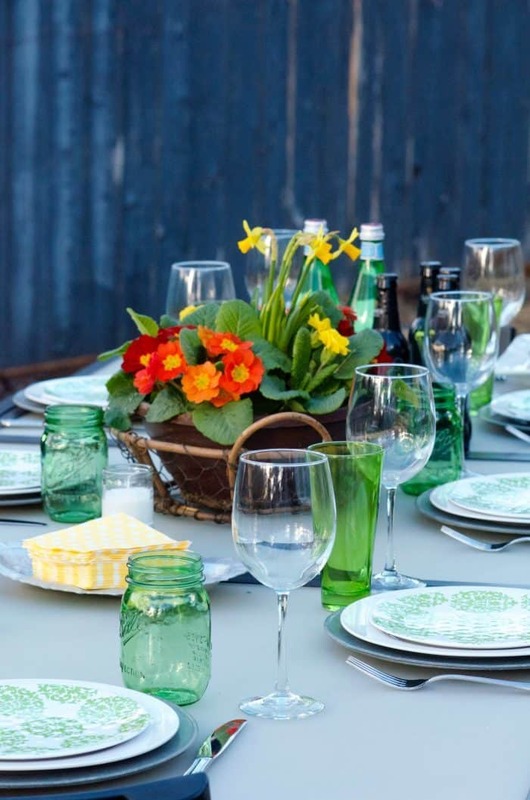 A few years ago, it was warm enough to host a party outside in our southern Oregon home. 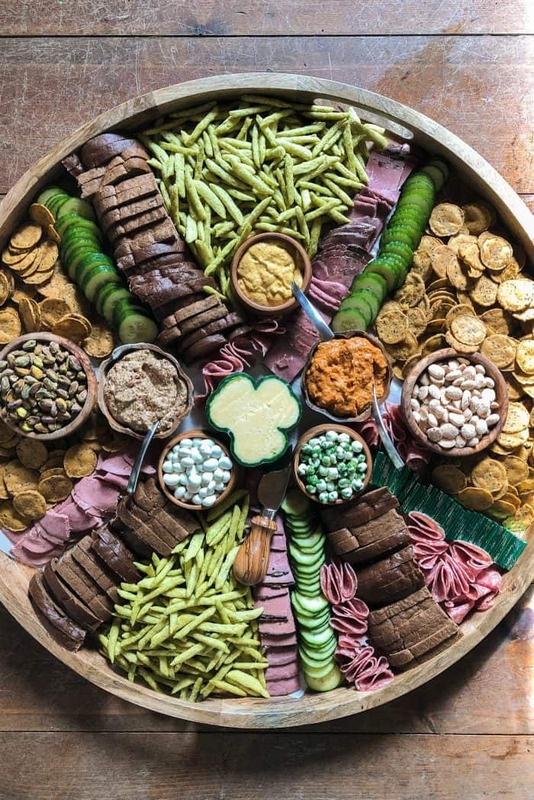 With touches of green, and plenty of Guinness, this Happy St. Patrick’s Day Charcuterie Board was a great way to get the party started! 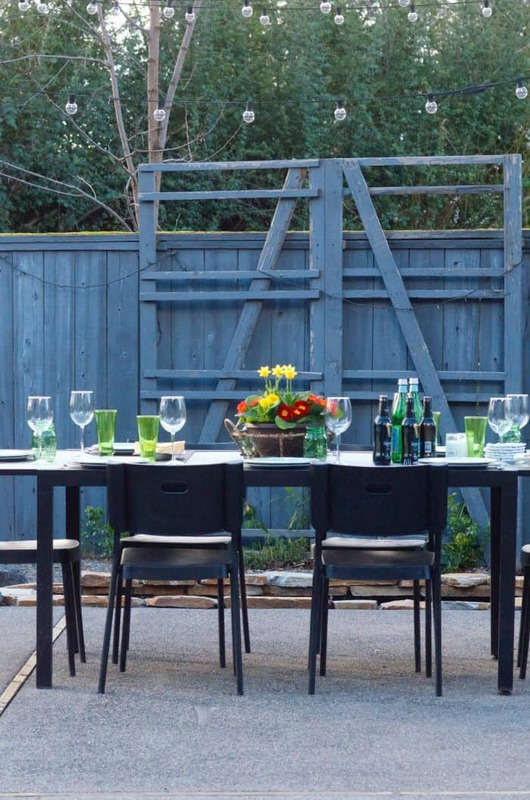 And as I always say here on RE, I feel blessed to have creative family and friends who can cook and contribute to a meal, bring drinks, ice, or even stop by the store if needed, so I take advantage of this when we host a dinner party. Why should I have to do it all, when our friends can help make the meal fabulous? A board that is big enough for all the nibbles. I love “round,” because a lot of people can gather around it. Several kinds of smoked, dry-cured or cooked meats! Cheese is everything! Add a fun mix of firm and soft cheese, mild and sharp! Don’t forget accoutrements, for this board: mustard! Fruit, nuts, veggies, crackers, and bread (rye)! A sweet nosh: Chocolate is always a party fave! Don’t forget the Andes Mints! 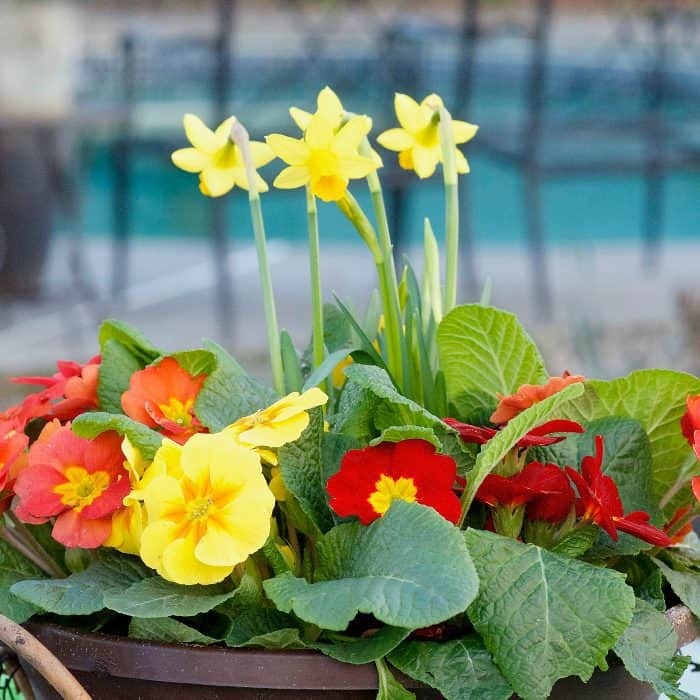 Try something new for spring! It’s super-fun to create your own holiday charcuterie, considering different aspects of what can complement your board! 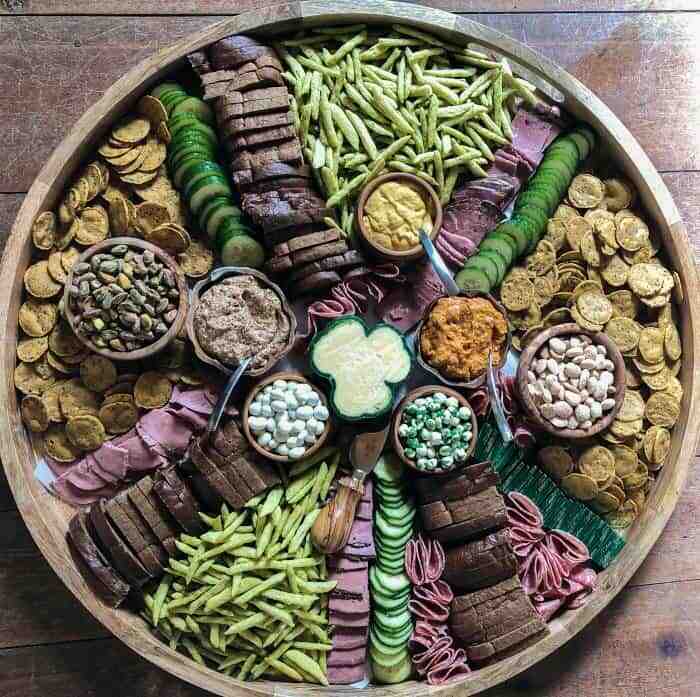 Some people say there is a certain way to arrange a charcuterie board, but I say just make it pretty and accessible, which is why I love a round board. 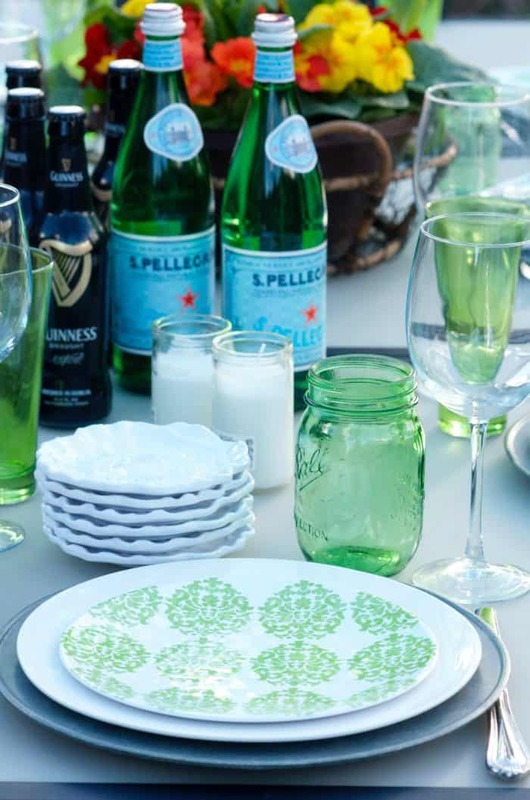 Set it in the center of a table and let everyone dig in! Get a giant board ready for arranging the charcuterie. If not food-safe, lay down parchment paper. Slice veggies, meats, and cheeses. Fill small bowls with mustards and nuts (anything small). Arrange all the food in an organized fashion, with the aged cheddar in the center. 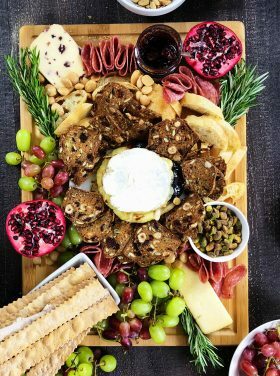 More snack board ideas: Healthy Snack Ideas with Hummus [Your Homebased Mom], Single Serve Charcuterie [Tried and Tasty], and Banana Split Honeycrisp Apple Nachos [RE]. This awesome! I love how you used the pepper to look like a clover! Sandy your large board is amazing. Where did you get yours and/or where do you suggest getting one? I love that you are doing this series on charcuterie. I have something cute to share. When our son was young we would all snuggle on the couch together to watch a movie on TV on Saturday nights. Well I would put together a charcuterie platter for us to snack on. 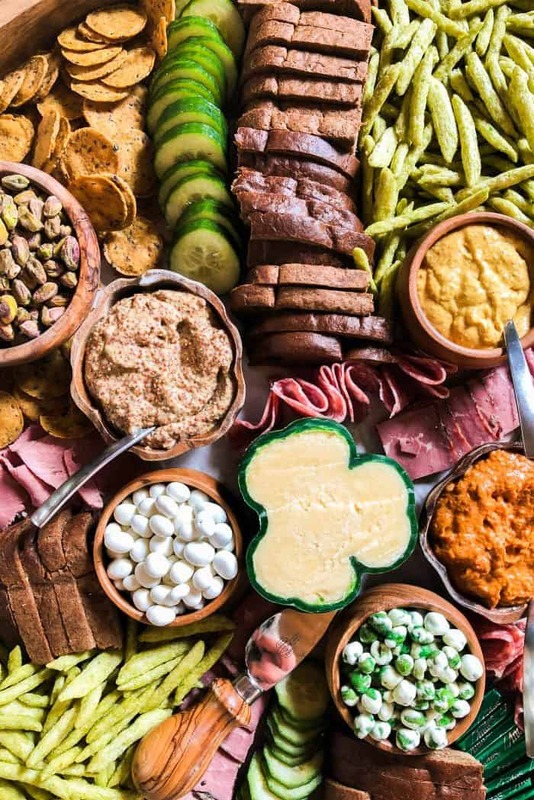 Our son learned how to say the word and as he got older he would tell people…”my mom makes a charcuterie platter for me to snack on .” People would look at him a bit quizzical and laugh saying things like…”well isn’t that haughty taughty.” LOL!!! Well I was only doing what my mom did when I was a kid. And back then my house was the place to be. Word got around the neighborhood that we had the best “snacks” in town!! LOL!! That is just the cutest story about Ben. Thank you for sharing it here. :) Love and hugs, Mary!